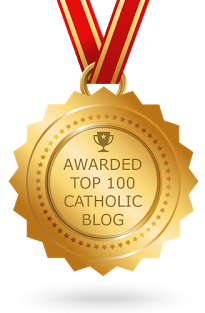 phat catholic apologetics: Real Presence vs. "Do This in Memory of Me"
There is one aspect of transubstantiation that I have difficulty explaining. I know that in the french version of the bible, Jesus, at the last supper, when He distributed the bread and wine, said "Vous ferez cela en memoire de moi." which means "You shall do this in memory of me.". I have trouble consolidating the fact that the bread and wine become the body and blood of Christ when He Himself siad this would be done in memory of Him. I am obviously missing an element somewhere in my thinking and understanding. Doing this "in memory of Him" does not preclude His Real Presence in the Eucharist. It is not an either/or proposition, where doing this in memory of Him must logically mean He is not substantially present. Instead, it is a both/and proposition, in which our participation in the Last Supper is both a reminder of His sacrifice for us AND the reception of His Body, Blood, Soul, and Divinity. The Sacrifice of the Mass is reminiscent of many things. However, it is also a very REAL sacrifice, and a very REAL reception of our Lord and Savior. We must avoid the either/or mindset that utterly plagues protestant theology. Also, to take this from another angle, when the Jews celebrated the Passover, it wasn't just for them a time of remembering what happened so long ago. They believed that the Passover they celebrated was a mystical re-presentation of the first Passover of their ancestors. And so, by instituting the Eucharist on the feast of the Passover, we have the old meal and the new meal literally coming together in the person of Jesus. He has infused his very self into the celebration replacing the old flesh and blood with His own Flesh and Blood. The Lutherans and most Anglicans both believe that Christ is really, physcially present in the Eucharist. And High-Church Anglicans believe that the Mass displayes Christ's Sacrifice. "Hey, hey, hey don't lump all Protestants together :)"
I do it only for ease of speaking. Technically speaking, everyone knows that you can never speak generally about Protestantism! He said it "plagues" protestant theology. That does not mean that every single protestant has that problem. If you say there is a plague in europe it does not mean that everybody has that plague. For the majority of protestantism this is a serious problem. Within evangelicals that is a major problem. also, Bryan. I would argue that lutheran theology does not have Christ "really present" in the same sense that catholicism does. Catholicism has Body, Blood, soul, divinity as its substance with the bread left as the attributes. Lutheran theology is a co-mixing where the bread is "something special" but is by far not set apart in the same honor that catholicism gives the most blessed sacrament. If You want some more reading on this let me direct you to. length, and color of Christ’s body, when he says, “This is my body.”... Certainly, then, Christ’s real body must be truly present where its form is, which has been made its form by the Word, out of the bread"
The quotes are taken from Fr. Al Kimel (The Pontificator, whose link is on Phatcatholic's sidebar)'s "Eating Christ"
What you present was Luther's belief, but can we say that it is also the teaching of the Lutheran Church today? Lutherans have strayed from Luther on a variety of points, and this seems to be one of them. Perhaps they have a modern catechism that could be of use here? I don't know. ... and read all of section IV ("Lord's Supper as a means of grace"), it does indeed appear that Lutheranism espouses a Real Presence. This cyclopedia was originally published in 1954, which is pretty modern. I guess it just seems like there's such a disparity between the teaching found there and what most Lutherans believe that it's hard for me to imagine that Lutherans actually believe in a Real Presence that somehow isn't consubstantiation. Happy Candlemas, I’m not all that familiar with modern interpretations of Lutheranism, but here we go. I will try to be as objective as I can and will try not to decide who is “right.” As far as I can tell the first question which must be asked is what is believed to be on the altar after the words of consecration. Catholics and the Orthodox would say that it is Christ; High Anglicans would agree, Low Anglicans would not (Low Church Anglicanism is primarily Reformed in theology). Luther, himself, would agree. From what you sent me, Lutherans (at least Missouri Synod, but I’m sure that ELCA [Evangelical Lutheran Church of America, the largest Lutheran body in this country] also believe in this because of communion agreements they have made with the American Episcopal Church. I know nothing about the Lutheran Church Wisconsin Synod so I will not give an opinion here) would also agree. Most Calvinists/Reformed and Armenians are Zwingalian in understanding the Eucharist, and would not agree I think. But they would agree that the Eucharist has a symbolic significance in the life of the communicant. This understanding would put Catholics, Orthodox, Lutherans (-MS, ELCA), and some Anglicans in the category of believing in Real Presence. This is not the end all and be all of the Anglican Church however. The Church of England was originally Calvinist/Reformed in theology. In the 19th century, though, a movement within the church transformed it into more of a Catholic church. After this, a sole position on the Eucharist cannot be found within the church and the views range between transubstantiation and mere symbolic significance. In practice, most Anglicans genuflect before the Consecrated Elements, and kneel (if able) when receiving the Eucharist. But for the most part, Anglicans decline to state exactly what happens in the Consecration, other than that afterwards the Real Presence may be found in the Eucharist. From what I have read of the documents you posted links to, I would hazard a guess that the Lutherans follow the Anglicans in not wishing to state a position other than that Christ is present. It is interesting for me to note that the word used to describe the view of the Lutherans is consubstantiation. This is often described as being that Christ is “mixed” with the bread or wine in the Eucharist (and in fact this was how it was described to me when I took theology in College). But the word consubstantial is the same word in both English and Latin that is used in the Nicene Creed to describe the relationship between the Son and the Father in the Holy Trinity. Seeming to me to mean that what was originally meant by the term was to say that the Eucharist is to Christ what Christ is to the Father, but that is only my own theory. This is a statement from the ELCA on the Eucharist. Wow Brian, that was really informative! It seems that the Lutherans-Missouri Synod believe in the Real Presence in the same way we do. I wonder if there are in fact any differences. The phrase they used to describe it in the article from the Christian Cyclopedia is intriguing: "In, with, and under the bread and wine a communicant [. . .] receives Christ's true body, given into death, and His true blood, shed for sins." "in, with, an under": I think the word "with" is what's throwin me off. If this statement has in mind the substance of the thing, then this would mean that the substance of the bread exists with the substance of Jesus. That would in fact be consubstantiation. But, if this statement has in mind the accidents, or the elements, then nothing about it would contradict what Catholics believe. "View, falsely charged to Lutheranism, that bread and body form 1 substance (a “3d substance”) in Communion (similarly wine and blood) or that body and blood are present, like bread and wine, in a natural manner." Under this definition, the word "consubstantiaion" may be appropriate. After all, we use it in the creed to mean that the Father and the Son are "one in being with" each other......and, apparently, in consubstantiation, the bread and the Body are one being. But, then again, they seem to come together to form this one substance, or "esse". The definition seems to imply a mixture, like, the substance of the bread comes together with the substance of the Body to form "one substance" (a "third substance"). That would be different than the meaning of the statement in the Creed. Also, two substances coming together to form a third substance --is that the same as the popular definition of "consubstantiation", that it is the substance of bread existing with, or alongside, the substance of the Body? I suppose I'm raising more questions then answers, but that too is helpful in trying to figure this out. Let me know what you think. 1) This could come from Luther’s definition that was given in the quotes I posted earlier. Luther thought that the attempt to define the Eucharist with Aristotelian logic was a mistake. What happened, to him, was either beyond logic or even illogical yet true: Christ was united with the Bread and the Bread became of one substance with Christ in a real, physical way. His heresy (in the eyes of Thomist scholars) would not be in that he was making the Eucharist something lesser, but in making it something more; that even the accidents of the host, according to Luther, can not be differentiated from Christ. This to me could account for the use of “with” in the definition. 2) It might be an attempt to differentiate the Lutheran theology against Low church/Calvinist or Armenian theologies. These would say that there is nothing Holy about the Eucharist, there is only something Holy about the believer who receives it. In this way “with” could mean that there is something Holy about the Eucharist itself that has nothing to do with anything anyone else may do with it or feel about it. Which reminds me of something I felt when I was an Evangelical, I always felt that I had to use some “spiritual muscle” to make the Eucharist have meaning to me. But now I believe that it is Christ who does the work of making the Eucharist have real meaning by uniting himself with it. 3) It might just be that they have to find a way to make a “big tent.” Within Protestant groups there is no uniting authority as there is with the Pope in Catholicism. Thus, denominations either agree or split. So to make a united Lutheran Church-Missouri Synod, they might have had to express their Eucharistic theology in such a way as to allow for a bit of dissention in what they believe actually occurs so that they avoid have a theological understanding that forces some to leave because they believe something different. I really believe it is probably a combination of all three of these arguments. Thinking about this has been very enjoyable, and I think I’ll post all of his on my blog if you don’t mind? Feel free to post this on your blog. Send me a link to your post once you create it. Also, if you don't mind to mention where the conversation came from, I would appreciate it. I'm going to consult a blogger I know who is somewhat of an expert on Luther, and see what he says about all of this. Above is the permanent link to the article I posted on my blog. The only changes I’ve made were to correct spelling and formatting, though I have mostly failed at this second task because TypePad ain’t workin’ for me. “What is the Sacrament of the Altar? It cut off the entire link!!! Thanks for the link, and for the info from Luther's Small Catechism. It does appear that Luther believed in the Real Presence. As for the various Lutheran bodies today, that's still up in the air (we haven't settled that problem yet, have we? Perhaps I need to read over this conversation again....). I'll let you know when that Lutheran blogger I mentioned gets back to me. I grew up in an Evangelical Lutheran Church of America (ELCA) congregation, which is the largest and probably most liberal of Lutheran denominations. My parents still go there and they state in the liturgy that they celebrate the Real Presence of Christ in Holy Communion "in, with, and under" the elements of bread and wine. Also, all Christians are invited to receive Communion, but I haven't since becoming Catholic. Another interesting thing is that in the ELCA liturgy, the bread is raised for a few seconds immediately preceding the words "This is my body" and it's never raised again, until the moment people receive Communion (just like Catholic ministers raise the host). It's very convoluted. Just to put a cap on my comment, these observations cause me to think that even though the Lutheran and Epioscopalian churches say they believe in the Real Presence (differently from Catholics, of course), they aren't "practicing" their belief very well.